The prospect of having baby number two has always been a dreamy fantasy – something which will happen one day soon, but not quite yet. I’m starting to certainly feel ready for another baby (I get that warm fuzzy feeling in my tummy when I see prams, babies and cute little baby bumps). But at the same time I am completely terrified at the prospect of actually going through it all again! Twenty weeks! Twenty weeks during my first pregnancy of vomiting every single day. It is quite literally something I would not wish on my worst enemy! I got through it via a mixture of will-power, over-the-moon happiness that I was going to be a mummy, medication, and naivety that “morning sickness only lasts for the first trimester”. I am absolutely convinced that I am going to be as sick second time around, and the idea of going through it all again scares me to my very core, especially now that I have a very active tot to look after! The sheer happiness of being pregnant was often overshadowed by the sheer terror of being pregnant! “Is my baby still there?” “Is my baby healthy?” “Why am I still being sick?” “Why is the baby not moving?” “Am I eating healthy?” “Am I doing harm to my baby?” “How am I going to get this baby out? !” The list of worries is literally endless…and it doesn’t stop when the baby is born. A bit painful and overwhelming, let’s put it that way. I fully intend to try and prepare myself mentally during my second pregnancy, but if not then I’ve got no shame in asking for an epidural as I did during labor with my first – (Mummy Experience: Having An Epidural). First there were two, and then there were three. Zachy always felt like our perfect missing piece – he completed us! He fits perfectly into our lives (and our bed) and there is just something so beautiful about our little family unit. Increasingly though, I watch him playing at the park, or with the cat, and just think to myself that he would really love a brother or sister to play with ❤ He’ll make a brilliant big brother when the day finally comes, but the thought that we will no longer be a perfect three makes me a little sad. Literally, How Will I Cope?! On that note then, how on earth will I cope with a baby and an incredibly busy toddler? I am barely holding it together as it is – every single Mall trip in recent weeks unaccompanied by my back-up support (husband) has been a complete disaster – I am not sure I would cope with two terror tots! My strategy is to train Zachy in big-brotherhood to help look after and entertain baby number two – sounds good in writing, hey! I am still woken frequently in the night by my almost two-year-old. I get enough sleep but yes, I am generally tired. 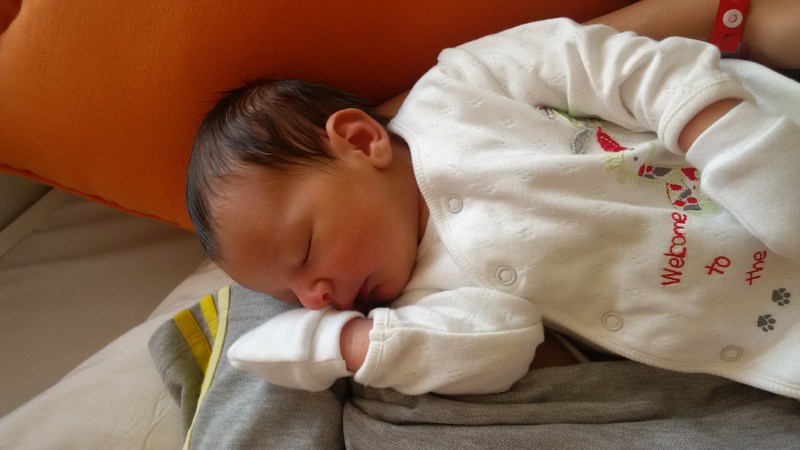 The newborn nights that turn to days that turn to nights are again going to be an interesting mix when you throw in a busy toddler who is used to having Mummy all to himself. But out of all of the above, I think what scares me the most is the thought of having to share myself with another baby. I so love my alone time with Zachy. The idea of sharing myself makes me feel so sad for him. And I really can’t imagine loving another baby more – it makes me feel terribly guilty already! I once asked my Mum whether it’s possible to love the second one the same (I’m the eldest, obviously), but she replied “you just do…” I guess the depth of your love grows with your family, which is really beautiful. One of my friends once told me that “You cope. You go into survival mode. You do just fine”. I very much want another baby, but still, it’s very scary! However, I equally know that all the above worries are probably a drop in the ocean compared the extreme happiness our expanding family will give my husband and I. Perfect Zachy – two days old. He was born so tall that he had almost outgrown his “Welcome To The Jungle” suit in this picture already! P.s. Sorry for the long comment!! Argh! I feel exactly the same about all that. I wasn’t sick during pregnancy but just didn’t enjoy it really. I had a horroific experience when my son was born which puts me off another. But would love him to grow up with a brother or sister like I did.